View all ACTIVE listings located in Grand Island Estates Havasu! Grand Island Estates homes for sale are located in the Lake Havasu City, Arizona. This is an island that is accessed by way of the London Bridge, which is the second most visited attraction in the state. The island includes neighborhoods such as Toscana and Monacello, which are gated communities providing beautiful homes on large lots as well as home sites that may be purchased for building. Residents of Grand Island Estates real estate enjoy the serenity of the island and the proximity to Lake Havasu City for all the amenities that are desired. Toscana in Grand Lake Estates is a community of semi-custom homes designed with attention to detail such as the Alessandra Model. This home features from 2,547 to 2,677 square feet and offers 3 or 4 bedrooms. The home has a living room as well as a separate family room providing numerous entertainment options. A master suite with a private covered deck and large walk-in closets is another characteristic of this home. Additional bedrooms are spacious and include walk-in closets also. When choosing Grand Island Estates homes for sale in Lake Havasu, the neighborhood of Monacello is the latest to open on the island. This gated community is near Lake Havasu and includes oversized lots which will make selecting a custom home design easier. Many of the sites include lake views and range in size from 10,015 square feet to 16,462 square feet. Monacello and Toscana provide residents with abundant amenities including an area that is perfect for boating, kayaking and waterskiing. The proximity to the Mohave mountain range offers adventures from biking to hiking and enjoying nature. The Nautical Inn Golf Course is located on the island. Bird watching is another pastime that may be interesting for many as there are over 200 species of birds at the Lake Havasu National Wildlife Refuge aviary habitat. Residents of Grand Island Estates real estate are served by the Lake Havasu Unified School District. With many choices for shopping, dining, recreation and entertainment, this is an area that is popular among retirees, families, young professionals and investors. 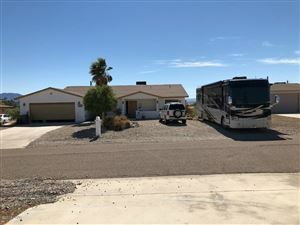 Lake Havasu listings last updated Apr 21, 2019 8:54:pm. Keller Williams Arizona Living Realty - The Vicki Runyon Team - If you have any questions please do not heisitate to call 928.680.8161 - Lake Havasu City Real Estate, Real Estate Agetns in Lake Havasu City, Condos in Lake Havasu City, The Vicki Runyon Team Blog, Lake Havasu City Realtors, Lake Havasu City Homes, Lake Havasu City Houses, Lake Havasu City Homes For Sale, Lake Havasu City Houses For Sale, For Sale in Lake Havasu City, Havasu Homes, The Refuge Estates, Lake Havasu City Foothills Estates, Search Homes in Lake Havasu, MLS for Lake Havasu City, Glen Eagle Estates in Lake Havasu, Lake Havasu Homes, Lake Havasu Real Estate Agents, Blog Lake Havasu, Homes in Lake Havasu, Search for Homes in Lake Havasu, Lake Havasu City MLS, Lake Havasu Houses For Sale, Lake Havasu Real Estate, The Refuge Golf Course Homes, Search for Homes in Havasu, Lake Havasu City Condos, Search for Houses in Havasu, Homes in Havasu for Sale, Havasu Homes for Sale, Lake Havasu Homes for sale, What is for sale in Havasu, London Bridge in Lake Havasu, Search Homes in Lake Havasu, Free Foreclosure List Havasu, Lake Havasu Foreclosures, Foreclosures in Lake Havasu, Lake Havasu City Foreclosures, Cheap Real Estate in Lake Havasu, Vacant Lots in Lake Havasu, Rental Properties in Lake Havasu, Havasu Homes, Havasu Real Esatate For Sale, Havasu Real Estate Blog, Lake Havasu City Duplex, Duplexes in Lake Havasu City, SEARCH HOMES IN LAKE HAVASU, Denna Ketchum, Buyer's agent Denna Ketchum, Lake Havasu City Real Estate For Sale, Keller WIlliams, BOLD Lake Havasu, Havasu Homes, Havasu Real Estate, find havasu real estate, Keller Williams, Lake Havasu City London Bridge, Real Estate in Havasu, Search Homes in Havasu, TVRTB, The vicki runyon team blog, lake havasu city blog, Lake Havasu City Real Estate Blog, lake havasu city homes for sale, most successful havasu real estate agent, top agents in lake havasu city, most homes sold in lake havasu, Search Homes in Lake Havasu City, Search homes in havasu, Homes available in lake havasu city, Lake Havasu City Real Estate blog.